It’s December, and for many people that means time to start thinking about shopping for gifts. Just about every tech blog publishes a holiday gadget guide, but we decided to put our own spin on the annual ritual. 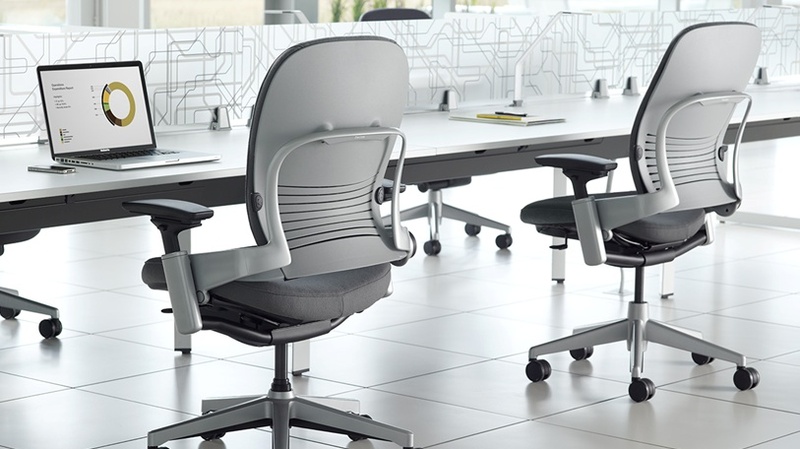 At GigaOM, we value connectivity above all, so several of our writers took a few of the latest internet-enabled devices for a spin. We’re on the cusp of a revolution in connectivity, the first wave of which has already arrived. More and more everyday objects — from dog collars to gardening tools to light bulbs — are now able to capture data about your life or things in your life. The dog collars, for example, use GPS to tell you when your dog is out of a certain range, while the garden sensors will track soil moisture and light so you know the ideal location and time to plant and water. But for all the new products that are out there, there are a bunch that we think should exist and don’t. And so in the back half of this post, our writers offer another four connected devices that they wish were available at their local stores, from programmable furniture to a connected crock pot. The technology to build any of the four is here — it’s just a matter of some hacker deciding to cobble a few things together. The second, more profound phase of the connectivity revolution will come when you can build services on top of all these connections. Take the FitBit (see disclosure at the end of this post), which now helps you track how many steps you took today and how many calories you burned as well as how long your sleep cycle is. Currently, you can only send that data back to FitBit’s proprietary app. What will be really cool is when you can also share that information with your doctor and add it to your health records. Then we’ll be in the age of the so-called Internet of Things, when all kinds of devices can communicate with each other and with the internet itself, and companies can build out services that make our lives easier or more fun. None of the six devices that we reviewed here — or the four that we listed on the wish list that follows those reviews — is capable of that, but they definitely count as prescursors. At first, the Belkin WeMo Switch seems like a relatively low-priced path to a connected home. Plug any device into it and then turn that device on and off via your iPhone. Setup is easy; you just download the WeMo app and connect the WeMo switch to your home wireless network. After that, if you’re at work and fear you forgot to turn off the coffee maker, you can do so remotely as long as it’s plugged into the WeMo Switch. You can also connect the WeMo switch to IFTTT (If This, Then That) — which would allow you to, say, turn on the Christmas lights when the sun goes down. However, I couldn’t find enough good uses for the WeMo Switch to justify its cost. You need a separate Switch for each device you want to plug in; at $50 a pop, that adds up. And unless you regularly use an electrical device that would truly damage your home if you forgot to turn it off, the uses of WeMo Switch are limited. (WeMo gives the example of a curling iron, but I couldn’t think of many more everyday gadgets like that — and it’s not as if you can use WeMo to turn off a gas burner.) 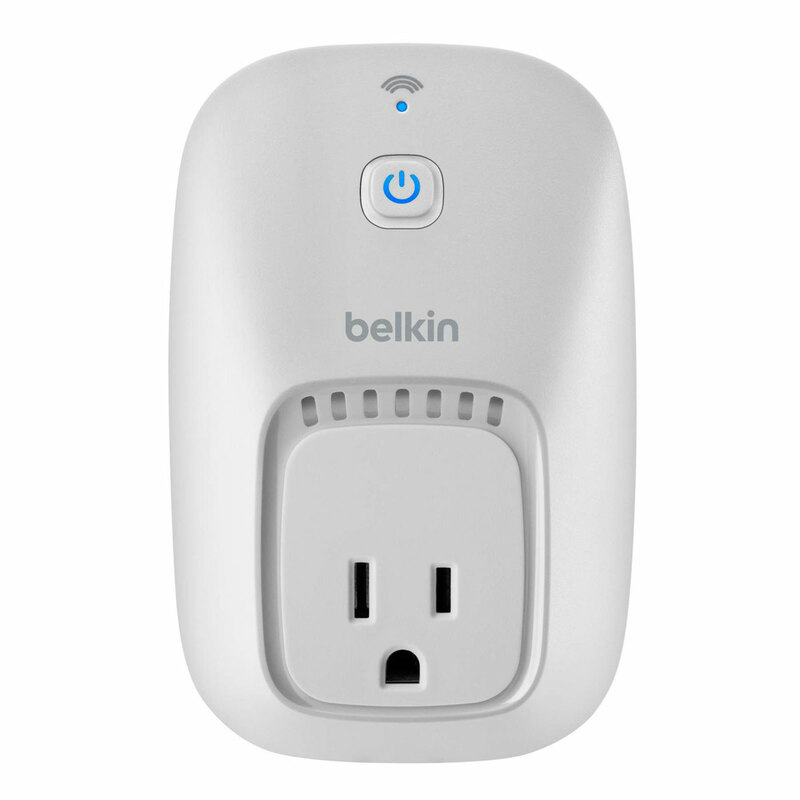 For now, I find another Belkin gadget much more useful: The Belkin Conserve Socket, which automatically turns off power after a selected interval (30 minutes, 3 hours or 6 hours) and is just $9.99. In the wake of the gut-bulging Thanksgiving feast, where I opted for “a little of both” pies, “yes, with ice cream, please,” I am truly thankful for my new Fitbit One and the Aria Wi-Fi Scale. 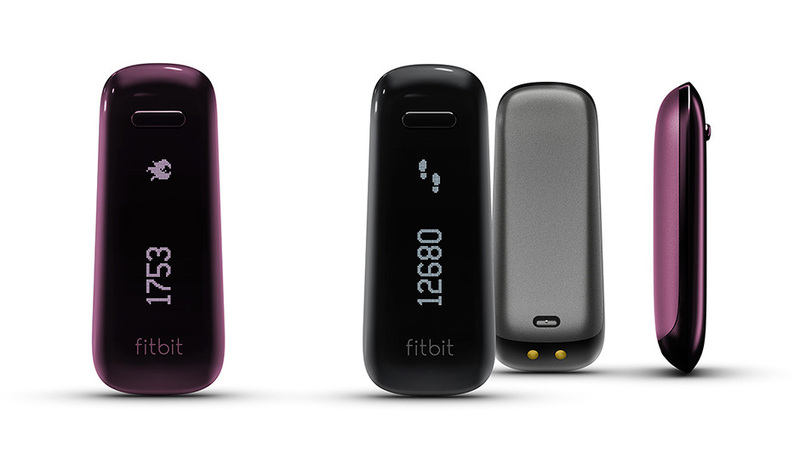 The Fitbit One is Fitbit’s third version of its activity tracker, and it’s smaller and sleeker than previous versions and includes new functions like a vibrating silent alarm (a trait seemingly borrowed from the Jawbone Up). I’ve been tracking my activity, food intake and weight in the Fitbit dashboard over the past week and have set a healthy course for shedding a few pounds post Tofurky-day, without the option for cheating (the scale and tracker know all!). The biggest downside of the Fitbit One is how easy it is to lose (or send through the wash). After four days it fell off my belt somewhere, and I was forced to buy a new one (and I’m not the only one at GigaOM who has lost one). Waking up in the morning is usually a daily battle. So I was intrigued by the Zeo Sleep Manager Pro’s promise to monitor the quality of my sleep, as well as wake me during the optimal time. Like an earlier version, Zeo’s second mobile unit includes a headband sensor that pairs with an iPhone or Android smartphone via Bluetooth. The latest version provides customized advice for improving sleep, as well as the ability to charge the headband through an outlet instead of a docking station. 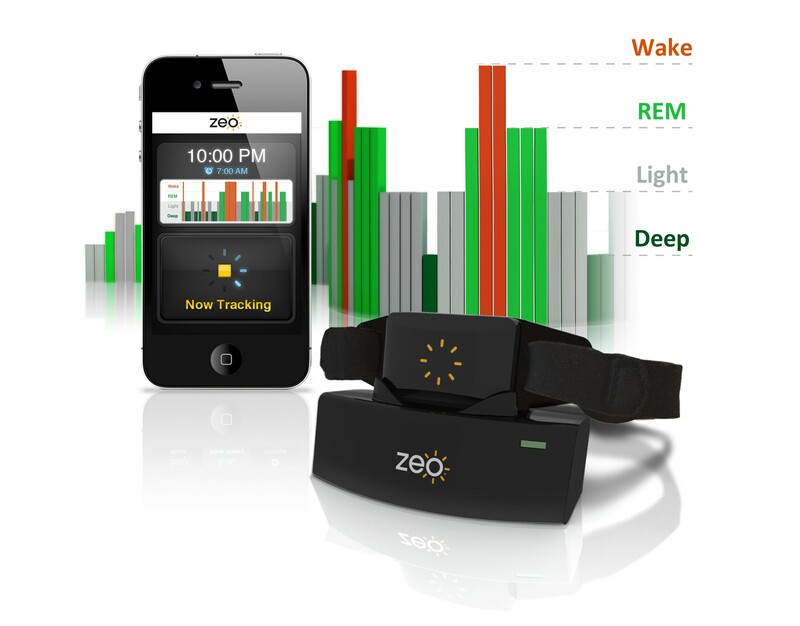 From the Zeo app, you can see how many times you woke up, when you were in REM sleep (rapid-eye movement, or deep sleep) and the quality of your sleep (your “ZQ”). Some of the advice wasn’t that surprising (e.g., “manage alcohol,” “get enough sleep”) and, despite its “SmartWake” alarm, I still woke up feeling groggy. But I was impressed by its analysis of my REM sleep patterns. It alerted me that my REM sleep is shorter than it should be, and suggested things like sleeping in cooler temperatures and going to bed at a consistent time. For each piece of advice, it offered an impressive amount of detail and explanation. Instead of fighting with the family for the big-screen TV over and over again, why not make use of a smaller screen for television content? 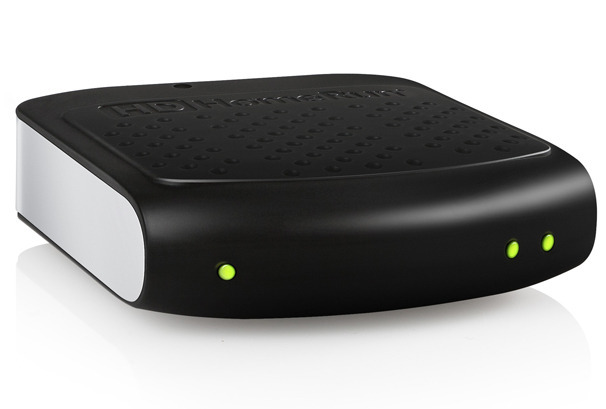 The HDHomeRun is a small box with two over-the-air tuners that can pull in local broadcast digital TV signals and shoot them to any computer, smartphone or tablet via your home Wi-Fi network. Setup is easy: Just connect it to your wireless router and add a plug-in antenna to the back of the HDHomeRun box. The included software isn’t the most user-friendly and you’ll need third-party applications to watch live television on phones or tablets — the free VLC app will work fine for computers. The HDHomeRun only does one thing, but it does it well if you have a fast Wi-Fi network and want to watch local TV without using a TV. There are a growing number of gadgets that track health and exercise, but very few can compete with Motorola’s MotoACTV smart watch. It has nearly every sensor and radio you could want: GPS; Low-Energy Bluetooth 4.0; Wi-Fi; ANT+; FM tuner; and an accelerometer. Did I mention it can also store tons of MP3 files within its flash memory? 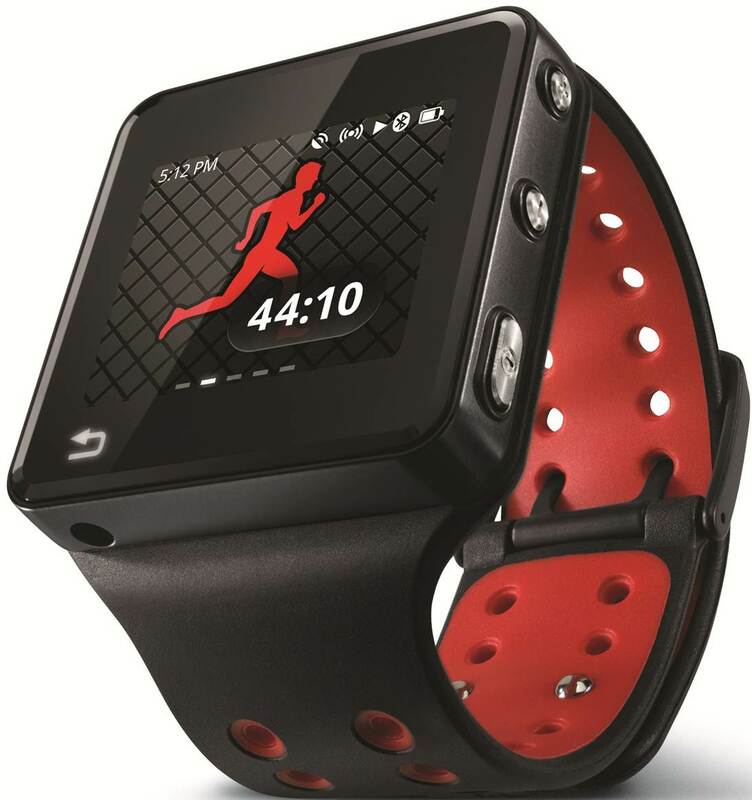 With all of this gadgetry, the MotoACTV is great for tracking various types of exercise types. You can listen to music during your workout or use the built-in coaching feature. There’s even support for using this smart watch on the golf course: you can tracking strokes, get help selecting a club and calculate distance to the pin. And all of this data gets shot up to the web automatically when your home Wi-Fi network is range. About the only missing feature I’d like to see is a sensor to measure my sleep habits. 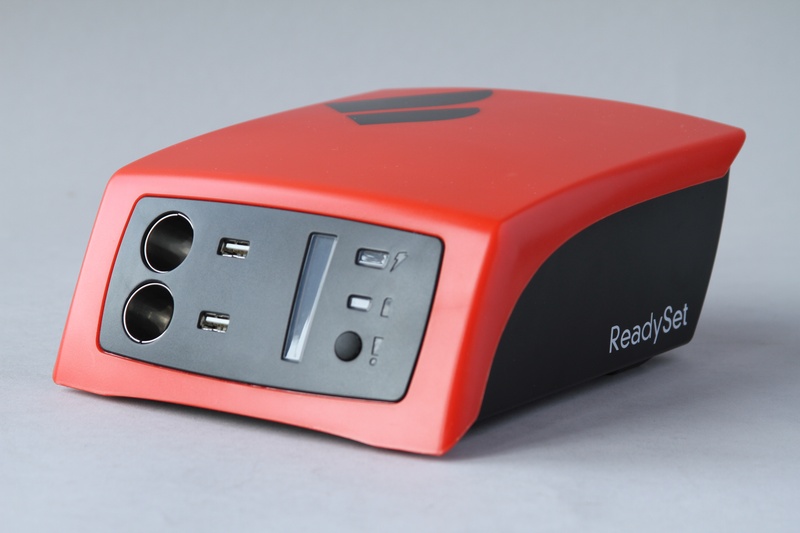 This product isn’t itself a connected device, but it’s an important companion gadget: It will ensure that all your connected devices always have battery power, even after a natural disaster. We’ve been following the startup Fenix for years – they make a smart user-friendly battery and accompanying solar panel, which can charge cell phones and other devices “off the grid” using basic connectors like USB. While Fenix has been laser-focused on getting its devices into developing markets, like villages in India and Africa that are truly off the grid, the startup has more recently started selling the ReadySet to anyone who wants one. It’s particularly useful for charging up your laptop or cell phone on a camping getaway or road trip. A couple things to remember: The solar panel takes a good deal of time to charge the battery, and the device is also pretty heavy — not great for carting around under arm. But, as my colleague Kevin Tofel pointed out in a recent review, the ReadySet would be a handy tool in the wake of a storm like Sandy. Now for some connected devices that don’t yet exist but that we wish were available in stores. Call it our Connected Gift Guide of the Future. With all of these four, a hacker could build them pretty easily. But we’d love for a company to start making these products so we can just buy them instead of having to program an Arduino board or connect an Electric Imp to a kitchen appliance. Let’s get connected. 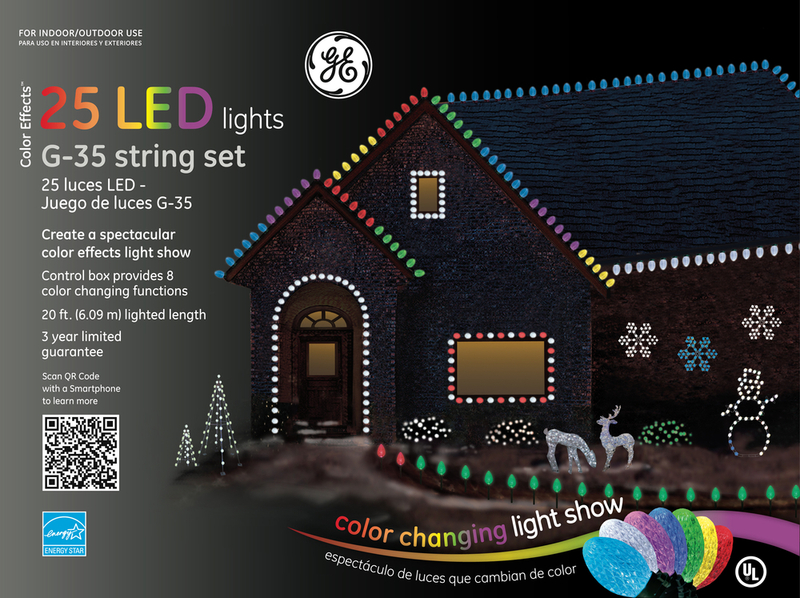 You know those awesome light shows that shops, cities or even ambitious homeowners put on? The ones that have lights that change color timed to music or that twinkle out a message of hope and cheer? Right now, creating those requires some hefty programming skills or expensive light sets and software. For example, Robert Sun Quattlebaum two years back did a series of posts explaining how he purchased a $60 set of lights that changed colors and came with 14 pre-programmed shows, and then used that to make his own programmable Christmas lights. That’s pretty awesome, but I don’t quite have his level of skill (the hack required reverse engineering the radio protocol and data bus protocols that controlled the lights as well as building out a new Arduino-based controller). And while the WeMo mentioned up above lets me turn my lights on and off from the web, I’m really after something a bit fancier. There is even a Kickstarter that launched Friday that comes closer, but I’d like a product I can buy on store shelves so I can make my own shrine to the Griswalds. I have an iGrill digital thermometer, which links to my smartphone via Bluetooth, telling me the internal temperature of my meats and the ambient air temperature of my oven. It’s a nifty gadget, but I’m continually frustrated that my kitchen connectivity is a one-way street. My appliance shouldn’t just tell me my roast is drying out, it should do something about it. 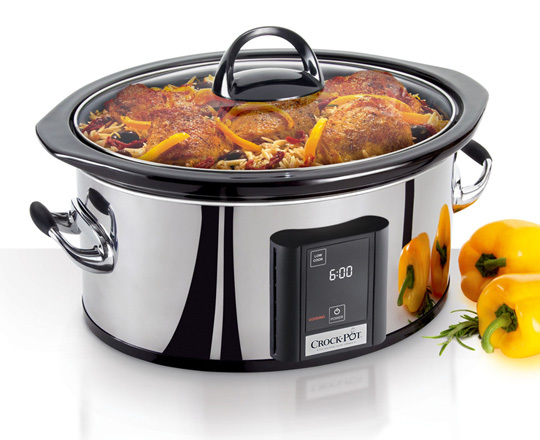 What I would like is the ability to turn my crock pot into a poor man’s connected immersion circulator for sous vide cooking. For those who don’t know, sous vide is a hip new culinary trend, involving the long cooking of food in a warm water bath. The pros use thousand-dollar rigs, but numerous Web sites show you how you can hack a $30 crock pot to make an immersion circulator. In my mind the only thing that’s missing is connectivity. Sous vide cooking involves long cook times, sometimes whole days, and I don’t want to be standing over my crock pot that entire time. Using an Electric Imp or a Twine temperature gauge setup, I could not only create a sophisticated and subtle cooking appliance, but one I could monitor and control from work. Older versions of the connected picture frame let you email your snapshots to a connected picture frame at Grandma’s house so she could see the grandchildren as they grew up without having to mess with the complexities of taking snapshots from her email and popping them on an SD card. This idea lets you track Grandma (or anyone else) by taking advantage of today’s connected pedometers and activity trackers. The picture frame would have some kind of indication of how often a person moves throughout the day and if they are meeting their fitness or activity goals. If the picture frame shows that a person isn’t active, there may be a problem, such as an illness or a fall. By sharing only a general activity level as opposed to the actual steps taken, it’s less invasive. 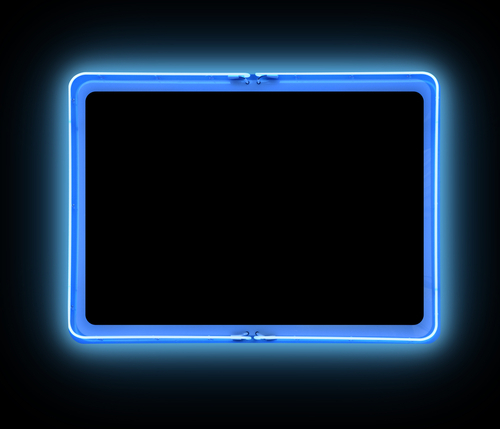 You could also use something like this with a GPS tracker with the picture frame changing color or brightening based on how far away a person is, or if they have strayed from a set area or any number of settings. It’s a real-world version of the Weasley clock for those who might not want an actual clock. For those that do, check out this project. I spend hours a day sitting in my chair, and while it’s an awesome chair it could do much more than accepting my weight. It could also interact with my computer, sound system or my lights. For example, when I’m sitting in my office chair, I’m pretty much guaranteed to be at my computer: so why not automatically turn my IM status to green and log me into Skype? This is a project that my colleague Kevin Tofel is thinking about and might hack together. While I’m not sure how it would work with his sit-stand desk, there’s a lot of potential for certain items of furniture to have the ability to interact with the web or our gadgets. I, for one, would love it if the act of getting into bed and turning off my bedside light turned the ringer on my phone off. Sure, there are things like this table, but I’m looking for something a bit more practical. And maybe something as easy as setting up an IFTTT recipe for a connected item of furniture.